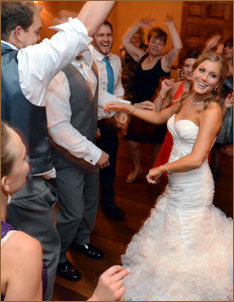 Rare Blend is about live music, entertainment, customized service, and personal attention to every detail of your wedding, party, or special event. 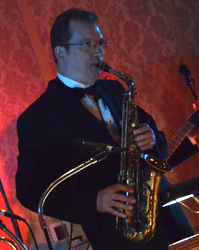 This professional and versatile live band has performed at over 2,000 Metro Detroit and Southeast Michigan weddings and special events. In addition to performing with Rare Blend, individual members of the band have performed with and/or toured with a number of big-name acts, including Detroit’s own Bob Seger and the Silver Bullet Band, Aretha Franklin, The Four Tops, The Temptations, Gladys Knight and the Pips, and Martha Reeves, as well as Grand Funk, The Who, The Moody Blues, Frankie Valli & the Four Seasons, Natalie Cole, Manhattan Transfer, and David Sanborn. 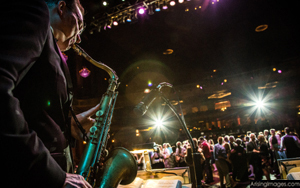 If you’ve ever attended a live musical show at the Fox Theatre, Fisher Theatre, DTE Energy Music Theatre, Joe Louis Arena, Cobo Hall, or the Detroit Opera House, you’ve probably seen or heard one or more of Rare Blend’s musicians performing on the stage. Choosing entertainment really boils down to deciding what you will offer your guests. 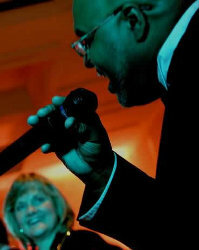 Rare Blend will bring excitement and energy to your special event and entertain your guests. From Rihanna to Motown to the sounds of Sinatra and Bublé, this live band will keep family and friends—of all ages—dancing into the night. 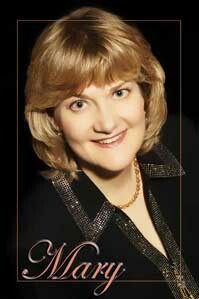 Throughout your event, Mary Davis, Rare Blend’s bandleader, will combine your preferences and requests with her amazing ability to accurately analyze the response of people on the dance floor to ensure that the band plays the right styles and the right tempos at the right time. 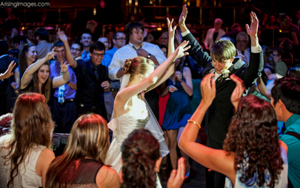 Providing your guests with live music performed by skilled and talented musicians will not only be energizing for those who love to dance but entertaining for those who are unable or prefer not to dance. Scheduling the events of a party or reception can sometimes be the most complicated aspect of the planning process. After deciding what activities you would like to incorporate into the reception, you must figure out how long each aspect will take and then create a timeline. That’s where Mary Davis can step in to help. 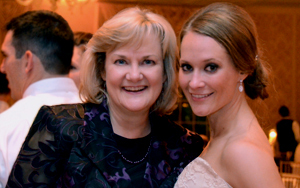 Mary will freely spend time with you to discuss ideas, answer questions, and help create the perfect timeline for your event. She will take detailed notes of your every request and incorporate them into a finely tuned itinerary that she will flawlessly execute on your special day. Getting to know you, your ideas, and your preferences is Mary’s top priority. By choosing Rare Blend, one of Detroit’s finest live bands, you will not only be offering your guests the finest in live music and entertainment, you will also be hiring a professional that you can partner with to coordinate the timing of your special event and make sure that everything goes just the way you planned!